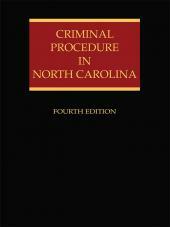 Criminal Procedure reflects a balanced blend of conventional casebook style, practice problems, concise text, and sample forms and documents that stresses the interplay of constitutional principles and practical considerations that confront both prosecution and defense attorneys. 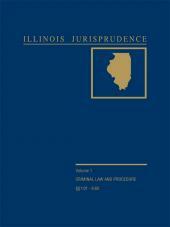 To purchase a printed version of this title, please visit www.caplaw.com. The book contains a host of new and quite fascinating materials related to recent decisions from the Supreme Court. Cases involving the construction of the good faith exception to the exclusionary rule, a rethinking of the car search doctrine, reaffirmation of the McNabb / Mallory rule, and numerous others, will contribute to interesting discussions with students. This book is designed to promote a high-quality classroom experience. Lengthy Supreme Court decisions have been substantially edited, although the “flavor” of the constitutional views of the various Justices has been retained. The insertion of sample forms is intended to illustrate the manner in which Supreme Court edict has filtered down to work-a-day law enforcement and prosecution. Problems, for the most part extracted from lower court decisions, serve to demonstrate the vague parameters of Supreme Court pronouncements while providing the student with an engaging and practical approach to understanding, analyzing, and applying the doctrine. This book also is available in a heavily discounted, three-hole punched, alternative loose-leaf version printed on 8 ½ x 11 inch paper with wider margins and with the same pagination as the hardbound book.